Successful and stunning real estate developer JoJo Fletcher, 25, gets a second chance at her happily-ever-after, choosing from twenty-six handsome bachelors on The Bachelorette 2016! After being devastated last season by a shocking rejection from Bachelor Ben Higgins, the Texan beauty is ready to leave that heartbreak behind and write her own love story as the next Bachelorette. WARNING: The Bachelorette 2016 spoilers below! 1. Blast from Bachelorettes past. In the season 12 premiere, a long, exciting night awaits JoJo, but first, a trio of former Bachelorettes: Kaitlyn Bristowe, Desiree Hartsock Siegfried and Ali Fedotowsky. The ladies return to offer some practical advice on how JoJo should handle the jitters, drama and emotional pitfalls as she searches for her future husband. They warn her that there is a big difference between red hot chemistry and love. 2. Outrageous limo arrivals. A nervous but beaming Bachelorette is blown away by the lengths some of the bachelors go to create a memorable first impression. One southern gentleman uses his guitar to charm JoJo with a song he wrote for her. One shy man shows off his Scottish heritage – and legs – by wearing a kilt. 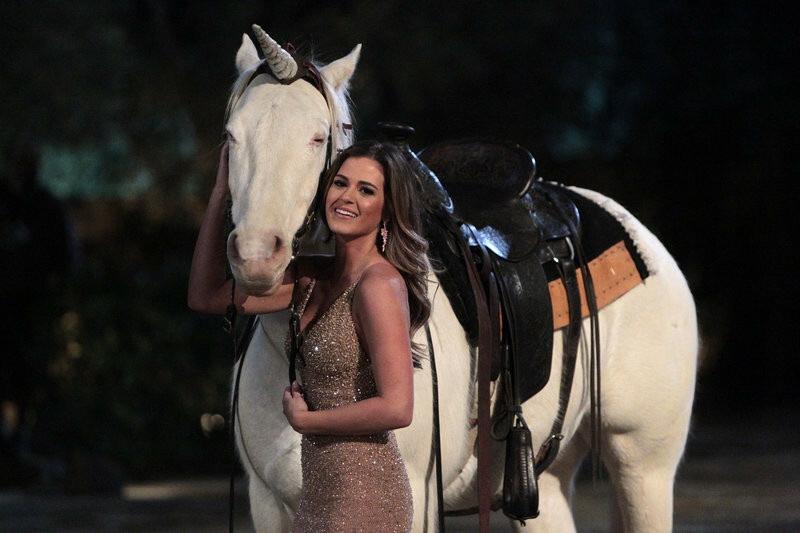 But one bachelor really stands out by riding in on a unicorn, harkening back to JoJo's own entrance on The Bachelor! 3. Things heat up quickly in the premiere. JoJo has an instant connection with one of the contestants and shares her first kiss of the season! 4. An unexpected bachelor arrives. But it wouldn't be a first rose ceremony without a surprise. An unexpected visitor from the past arrives and pulls the shocked Bachelorette aside, as the other men wonder if they have new competition for JoJo's heart. After the night is over, 20 men remain to try and become the love of JoJo's life. 5. Romantic and adventurous dates will reach new heights this season, testing the men's perseverance in pursuing their romantic objective, along with fun, exciting and exotic dates that will elicit real and raw passions. An action-packed schedule in California begins with an escapade that takes JoJo and 10 lucky men to a firefighting training facility where they are put through boot camp-like challenges. How will the men stack up against each other? 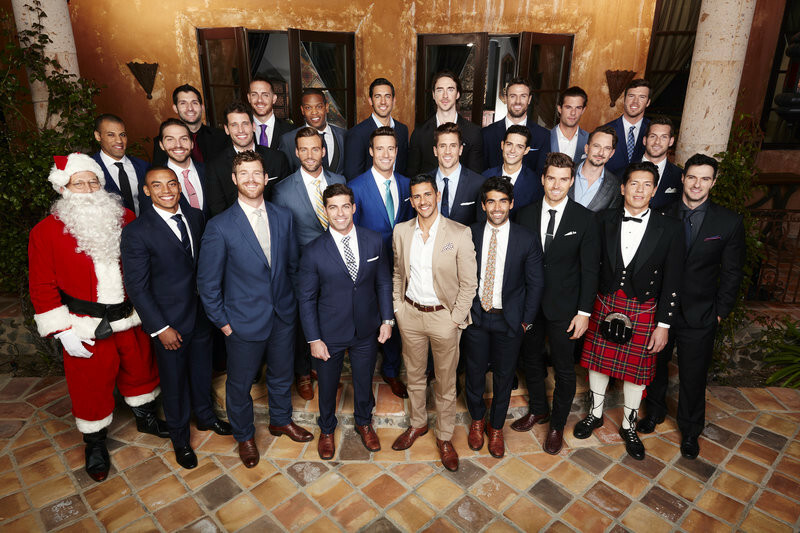 Meet the 2016 Bachelorette contestants and get ready for what Chris Harrison has rumored to be the MOST dramatic season of The Bachelorette yet!